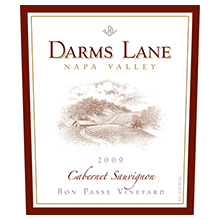 Our 2011 Bon Passe reveals exuberant notes of black-cherry, cappuccino, cedar and ripe raspberry. Medium-body with silky tannins, the palate is round and soft with mouthwatering flavors of chocolate, almond, fig and black currant. The wine is well balanced and its lower tannin content makes it more approachable in its age than other vintages. Enjoy now!